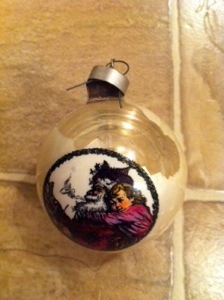 Thomas Nast: a casualty of The War On Christmas or of a three-year-old tree decorator? On this day I walked in and there was the above book staring me in the face. 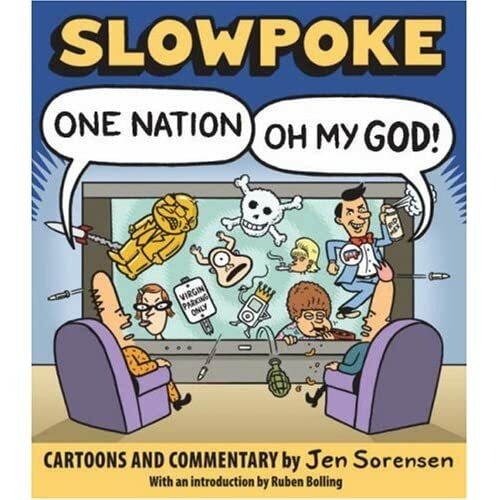 Then I looked in the humor section – same as it ever was. But I just happened to look through the literature section and, at the bottom, was a whole bunch of graphic novels. (Graphic novels=literature. Right on.) Since I was spending over $25 I was told I could have any one of three books that were on the counter for $1 and I got the one below. After I had paid I noticed the 50¢ clearance shelf next to the register. Even more graphic novels. • Three book collections of Batman and Superman newspaper comic strips from the 30s and 40s.